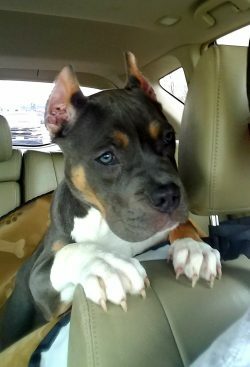 We received an emergency medical grant from you to help with veterinary costs for an abused puppy. The puppy had been strangled for having an accident in the house. On behalf of the Berea Animal Rescue Fund, I would like to extend my sincerest thanks to the Petfinder Foundation and its Emergency Medical Grant program. 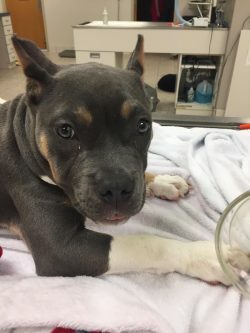 Thanks to the $1,000 grant we received from your organization, we were able to obtain emergency medical treatment for an abused puppy in our care. Our organization received a call that a puppy, Jimmie, had been brought into a local veterinarian’s office for care after being strangled by a family member for having an accident in the house. The puppy was not brought in for treatment until more than one full day after the abuse occurred and was in dire condition. She needed x-rays, oxygen therapy, and antibiotics to have a chance at survival. The family was not able to pay for treatment and asked that the puppy be euthanized. Berea ARF agreed to take the puppy in and obtain all necessary medical treatment for her care. With the help of the Petfinder Foundation and its grant towards Jimmie’s care, she was able to make a full recovery and has since been adopted by a volunteer who was fostering her through her treatment. She is now named Gemma. We cannot thank you enough for your generous support.